The most common excuse people give for skipping breakfast is the lack of time. This is especially true for women, even more so for working women. So you wake up in the morning, do some cooking in the kitchen, get the kids ready for school, pack up lunch boxes, get ready yorself, and reach work on time. Yeah that's a tough job to do every morning. Does this rob you of a healthy breakfast every morning? - Prep the night before. If you do your chopping, kneading the dough, making the sabzi for lunch etc the night before, you free up a lot of time for the next morning. Use this time to make and enjoy a healthy breakfast. - Bake some breakfast goodies in the evening and enjoy them in the morning. Go for low calorie nourishing muffins, egg souffles etc. Vegetable muffins are a great choice too. You can also make your own healthy granola bars that are low on sugar and high on protein. - Steam some idlis and make a big batch of chutney on Sunday and store in the fridge to use on the day you have no time to make breakfast. 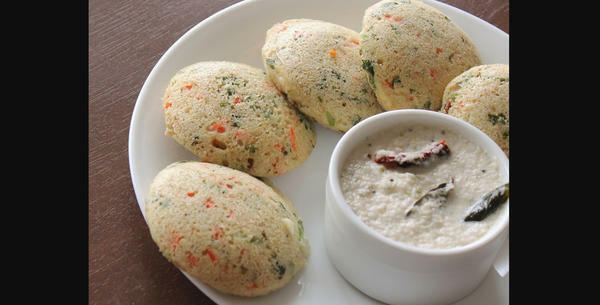 Just microwave your idlis and they will be as good as freshly made! - Oats are pretty easy to cook. Just put everything in a pan and put on the stove to cook. Go and get ready or do other chores as your breakfast cooks in the kitchen. - If nothing else, grab a banana and eat as you go out. - Milkshakes made with fresh fruit are easy to make and a great morning drink. What's more, they don't require much preparing time either! - If you missed breakfast ad want to grab something on your way to work, go for healthy choices. Most fast food chains offer egg sandwiches or egg burgers for breakfast. These are a better choice as compared to other burgers or cakes etc. You should always eat breakfast at the right time. Remember your kids are watching you all the time and learning a lot from your behaviour. If you want them to inculcate healthy habits, you will have to lead by example. How to Make Time for Breakfast? Morning Mistakes That Make You Fat!